Penhaligon’s Trade Routes Collection are fragrances inspired by the exotic spices and woods brought to London in the 19th century from the Orient and Middle East. Two of the oud scents in the line are As Sawira and Levantium. I’ll take a look at each in turn. In general, my Reviews en Bref are for fragrances that — for whatever reason — didn’t seem to merit one of my detailed, exhaustive reviews. In this case, it’s because neither fragrance was particularly complex or enjoyable. As Sawira, a new addition to the Trade Routes Collection, is inspired by the city Essaoiura, which became the first seaport of Morocco in the nineteenth century. With extensive trade connections to London, many of the commodities which adorned the wharves of the docklands will have originated from there. Bergamot, Davana, Saffron, Absinthe, Rose, Jasmine, Carnation, Clove, Cardamom, Labdanum, Amber, Oud, Myrrh, Gaiacwood, Sandalwood, Cedarwood, Patchouli, Musk, Vanilla, Maltol. There once was a Maharaja who loved his granddaughter very much. So much so, that her mere birth felt like the occasion to celebrate with something special. He commissioned a famous perfumer to create a scent in her name, honouring both his granddaughter and the land that he loved so much. It is the story of Vaara, the new creation of Bertrand Duchaufour for the old, famous British perfume house, Penhaligon. Vaara, was inspired by the Royal House of Marwar-Jodphur in Rajasthan when His Highness Maharaja Gaj Singh II desired a scent to commemorate the birth of his granddaughter, Vaara and to reflect his family’s deep love and connection with Jodhpur. Vaara offers a unique glimpse into this aromatic world of the Maharaja. 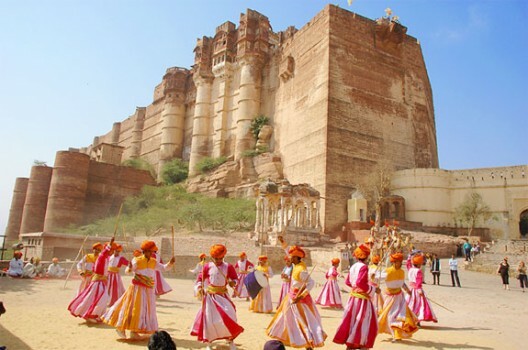 Bertrand travelled to Jodhpur to explore the life of a Maharaja; visiting historic forts, family palaces, exotic gardens and bustling city markets. His journey provided him with an abundance of inspiration for the fragrance and the end result, Vaara, cleverly captures the spirit of this fascinating part of India. The fragrance begins with a delicious blend of coriander and carrot seeds, creamy saffron and juicy quince: ingredients discovered during his trips to local markets in Jodhpur. 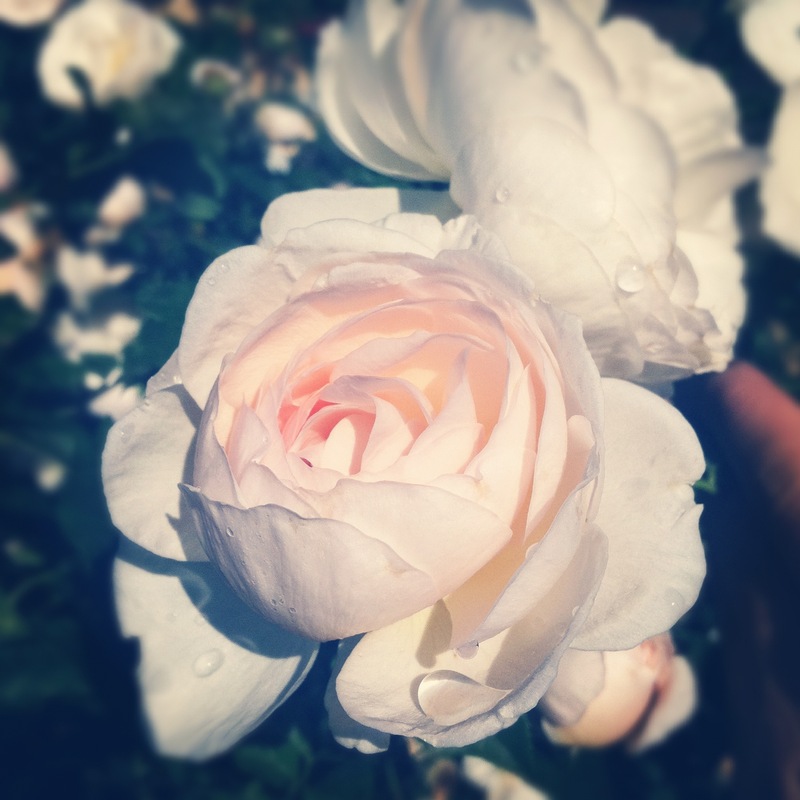 The heart of Vaara belongs to the gardens of Balsamand, the Maharaja’s summer palace, with two glorious roses blended elegantly with a billowing white note of Indian magnolia, a touch of freesia and a whisper of iris. The fragrance settles into a luscious combination of honey, white musks and resins dripping over an aromatic base of tonka, cedarwood and sandalwood. Quince, Rosewater, Carrot Seed, Coriander Seed, Saffron, Moroccan Rose Absolute, Bulgarian Rose, Freesia, Indian Magnolia, Peony, Iris, Honey, White Musk, Cedarwood, Sandalwood, Benzoin Resin, Tonka Bean. Vaara opens on my skin with quince and a watery rose. For those who may be unfamiliar with the smell of quince, it has an aroma between pear and apple with a honeyed undertone. For some, the smell feels fresh but exotically spicy, while, for others, quince has an aroma that slightly resembles pineapples, citruses, or lemon blossoms. In Vaara, the quince does indeed smell like something between an apple or a pear, though it’s closer to the latter for me and has a faint tinge of lemon blossoms. The rose note in the fragrance is delicate, sweet, very pink in feel, and extremely watery in characteristic. It’s syrupy and strong in a way that feels a lot like a tea-rose. Its watery aspect doesn’t feel dewy or metallic, but the end result is something that feels like a waterlogged pastel. Dancing all around the fragrance are strong whiffs of the accompanying players. First and foremost is a carroty smell of iris, followed by violets. The latter doesn’t last for more than a few minutes because it is bulldozed over by the onslaught of a clean, white musk that smells cheap, chemical, and synthetic. It has a sharp tone to it and strongly evokes hairspray. Quickly, it infuses all the other notes from the quince to the rose and iris. 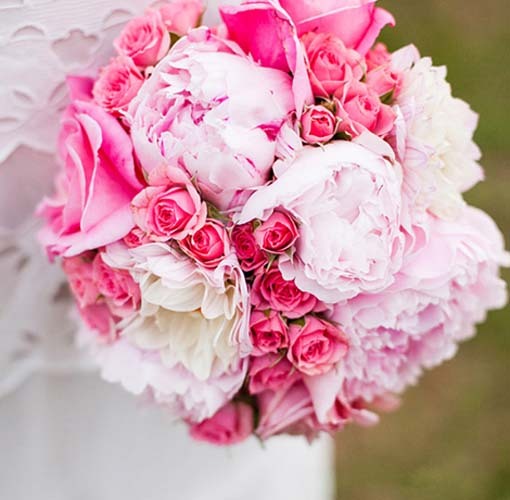 It does the same to the peony which arrives on the scene, smelling very fresh, syrupy, and quite similar to the roses. There is a small whiff of freesia, too. The floral notes all feel very young, feminine, and flirty — too much so for me. I’m having visions of teenage girls in the ’80s wearing big, chintzy, cabbage rose dresses from Laura Ashley. Making a valiant attempt to prevent Vaara from dissolving completely and thoroughly into floral hairspray are a few whispers of other notes. There is the merest tinge of something lemony from the magnolia. That said, I never smell the flower in its full, creamy, velvety, floral richness, so perhaps the note really is a subset of the quince. I have no idea. About ten minutes in, the saffron appears, adding a subtle touch of spiciness. Five minutes later, the hairspray stops acting like an advance scouting team for a Panzer unit, loses a little of its forcefulness, and lets a few of the other notes shine through. The pear-lemon blossomy quince regains its place as the star of the show, followed by the chorus of pink roses, sweetly carroted iris, purple violets, and syrupy white peonies. Despite the minor, momentary pop of saffron, Vaara doesn’t feel remotely oriental to me. Not once was I transported to Jodhpur or felt the warm breath of India. Instead, Vaara conjures up a large, full-blossomed, bridal bouquet of quince and florals all wrapped up with clean, white, musk hairspray like a bow. While the musk may make Vaara feel fresh and bright, it also makes it smell quite cheap to my nose. Twenty minutes into Vaara’s development, the perfume shifts a little. The carroty undertones rise in prominence, strengthening the iris note. Yet, the latter feels as floral as it does carroty. It’s probably the impact of all the other notes which seem to grow in sweetness, as well as in strength. The potency of the pastel florals makes Vaara a scent that is primarily floral in nature, then perhaps fruity-floral, but never one that seems even remotely “oriental” to me. What it really does is conjure up the past. Vaara has such a British, Sloane Ranger, 1980s feel. A young, shy, Lady Diana, circa 1981, might have worn Vaara in her youth — except the fragrance is probably too potent and forceful in strength. 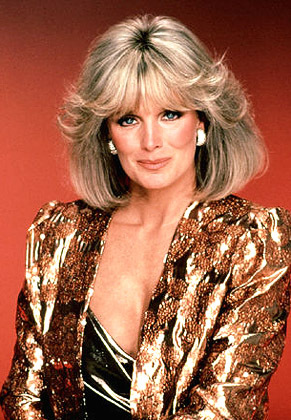 A better choice might be the very blonde, sweet Krystle Carrington from the old television show, Dynasty — except Vaara smells too commercial for the wife of a corporate magnate. Then again, Vaara’s increasingly strong undertones of floral hairspray might suit the bouffant-loving Crystal quite well. The sad thing is that Vaara might have been quite decent without the cheapness and the low-quality, girly, super-feminine ingredients. At its heart, there is a kernel of a truly lovely scent. Unfortunately, Bertrand Duchaufour already built on that kernel, and already made that fragrance. It’s Mohur from Neela Vermeire Créations. Mohur has an extremely similar opening to Vaara, so similar, in fact, that I was initially taken aback. Ignoring Vaara’s brief spasm of quince, and considering only the opening forty minutes, the two fragrances overlap to a sharp extent. Mohur has the exact same sweet, syrupy, watery, pink tea-rose, followed by carroty notes, iris, and purple violets. The similarities largely end there, however, as Mohur’s violet undertone feels deep, haunting and rich, and evokes old, classic Guerlain scents. Mohur has a flicker of oud, a hint of almonds, and a more successful, substantial spice note, instead of the minuscule pop of saffron given by Vaara. Those are the very minor differences, however. The substantial and main ones are the fact that Mohur never feels even remotely synthetic, chemical, or cheap. The fragrance sits atop bucketfuls of the most precious, rare, almost extinct, genuine Mysore sandalwood — not a whisper of which is to be found in Vaara, no matter what its note list may claim. Mohur is luxe, sophisticated, endlessly elegant, very expensive in feel, and layered with complexity. Vaara lacks all of that. It feels like a shrill pre-teen jumping up and down at the skirts of its big, elegant sister, clamouring at a high pitch to be allowed to join in the fun. Oh, and did I mention the ’80s? The pre-teen is a big-haired, twelve-year old with lots of hairspray, and a hell of a sharp voice. One reason for that sharpness is the use of ISO E Super, an aromachemical synthetic that some perfumers use as a “super-floralizer” and to add longevity to weak floral notes. To my chagrin, ISO E Super is present in Vaara to quite a significant degree. It not only amplifies the loudness of the white musk, but it adds to the forcefulness of floral notes (like iris or freesia) that, by themselves, are quite weak, dainty, little things. Given that I only dabbed on about 2.5 large smears of Vaara, I can’t get over its seriously intense potency during the first hour. Unfortunately, the loud buzziness of the synthetic combines with the equally synthetic white musk to give me one very intense headache. I don’t always get headaches from ISO E Super, but I do when a lot is used. Or, when a perfume is very cheap…. At the end of the first hour, Vaara starts its final transformation. All traces of a fruited element vanish from the top, as the quince becomes a muted blip in the horizon. Now, the scent is a quartet of rose, rose-like peony, carroty-floral iris, and violets — all infused with white hairspray musk. Vaara’s edges have started to blur, and the notes begin to overlap. Just after the 90-minute mark, the rose takes over as the main and dominant element, followed by white musk and ISO E Super, with only subtle whiffs of the other florals. With every passing half hour, the scent devolves further into a simple tea-rose scent that is simultaneously extremely syrupy sweet, somewhat watery, and, also, quite fresh and clean. I’m singularly unimpressed with any of it. What’s odd is that Vaara is muted in feel, while still very strong in power. No doubt, it’s thanks to the chemical Panzer unit that is stomping its way up my nose to the back of my throbbing skull. And that’s really the end of the story. Not a whiff of sandalwood, nary a hint of benzoin sweetness and vanilla, no tonka bean, no discernible magnolia, and no cedarwood. Vaara merely becomes more nebulous: a shapeless, very commercial-smelling, very amorphous blur of sweet roses, and white musk. It stays that way in one linear, simple line until the 8.5 hour mark, when dripping, sweet honey makes an appearance. The base feels rounder and warmer, too, but it’s never anything specific. At most, one can say that ISO E Super’s “woody hum” (as Luca Turin describes the note) vibrates a little in the base along with some warmth. In its final hours, Vaara turns powdery with a slightly sour undertone and mixed with an abstract hint of rose. 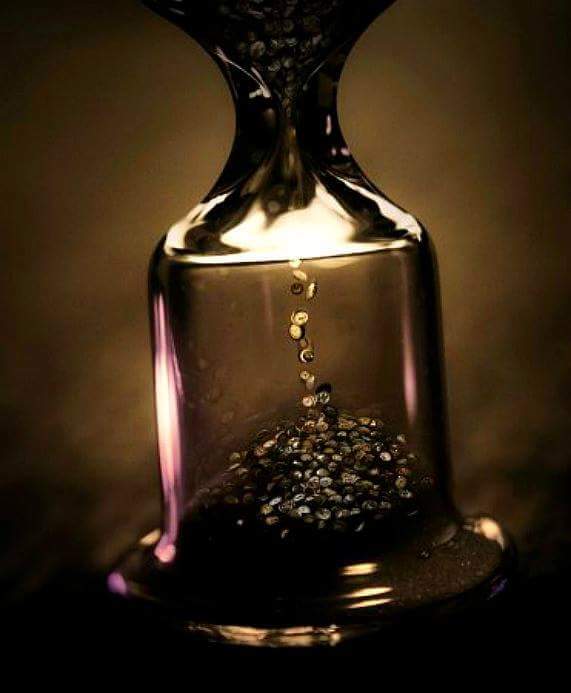 All in all, the fragrance lasted just short of 11.75 hours, a length of time which is quite rare for a pure floral on my perfume-consuming skin but which is further testament to all the synthetics underlying it. The sillage was generally high and good for most of Vaara’s life, though it had a 1980s powerhouse forcefulness for its initial hour. … [I]f the drydown either had more curves (or to put it bluntly, if Penhaligon’s had spared more pennies for the juice), Vaara would have been terrific. But instead of taking me for a ride, Vaara meanders around rose and settles for a well-behaved drydown of raspy woods and laundry musk. It’s surprisingly clean, considering that we’re talking about an India inspired perfume. There is not even a hint of the bonfire smoke that pervades most Indian cities, nor the opulent incense hanging around the temples. At best, it’s a neatly packaged idea of India, without any messy bits. These messy bits, however, make other Duchaufour fragrances much more compelling, whether it’s the sultry Eau d’Italie Paestum Rose, playful L’Artisan Traversée du Bosphore, or even Vaara’s older sister, Neela Vermeire Mohur. 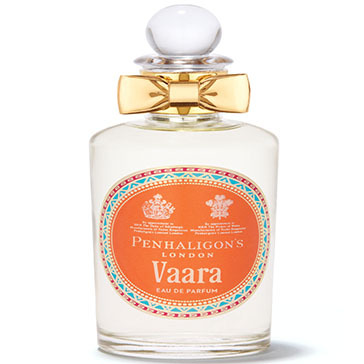 By contrast, Penhaligon’s is a more commercial and approachable brand than the others I’ve mentioned, so Vaara’s garden party exoticism is not accidental. That Vaara is the low-budget version of Mohur is also not surprising. I think she’s being far, far too kind, and extremely diplomatic. But, if you parse that review, you’ll find the blunt truth hiding behind the extreme tactfulness. Vaara is a “low-budget,” “commercial,” “wallflower” with “laundry musk” that is the result of Penhaligon not sparing enough pennies. In my opinion, it’s definitely commercial, belongs in a mall, and is far over-priced at $125 and $160. The extremely cheap-looking gold bow on the bottle (metal? plastic?) doesn’t help. The early assessments from those who have tried Vaara are much more enthusiastic. On Fragrantica, all three of the reviews thus far are positive and two of the three come from men. One chap happily compared Vaara to that 1980s monster Poison, writing: “Here the honeyed plum has been replaced by quince but I would not be surprised to learn Duchaufour has made use of the same lush alpha- and beta-damascone combination of the Dior masterpiece.” Well, I certainly agree with his choice of decades…. This is mostly rose on my skin. A sweet tea rose type fragrance. Not what I was expecting. Seems pretty linear with not much scent development. Disappointing! To me, smelling cheap is worse than being linear or being simple. Smelling of floral hairspray and rose “laundry musk” (to use Bois de Jasmin’s phrase) is just as bad. I plan on getting over the whole ghastly ordeal by putting on some Mohur instead. Cost & Availability: Vaara is an eau de parfum that comes in two sizes. There is a 1.7 oz/50 ml bottle that retails for $125 or £85; and a 3.4 oz/100 ml bottle that costs $160 or £120. I believe the fragrance will fully launch in mid-August 2013, though it is already available from Penhaligon and from some retailers. 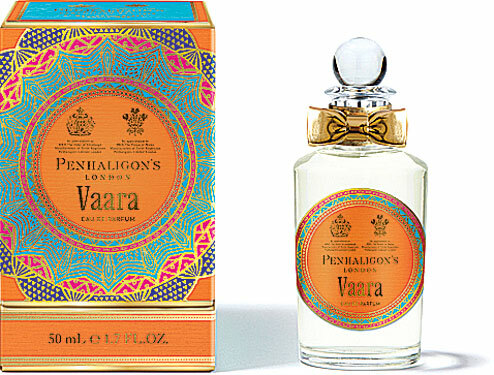 Penhaligon: You can buy Vaara directly from Penhaligon which sells the fragrance in both sizes. They also have a U.S. Penhaligon site which offers free shipping on all orders over $100. Penhaligon also provides a Store Locator Guide which lists shops from Canada and Korea to Indonesia, Singapore, the Cayman Islands, Australia, Turkey, Hong Kong, and all of Europe which carry its products. In the U.S.: Vaara is already available at Luckyscent which sells both sizes, along with a sample. Vaara will launch at some select Saks Fifth Avenue stores on August 19th, and a little later at Gumps. 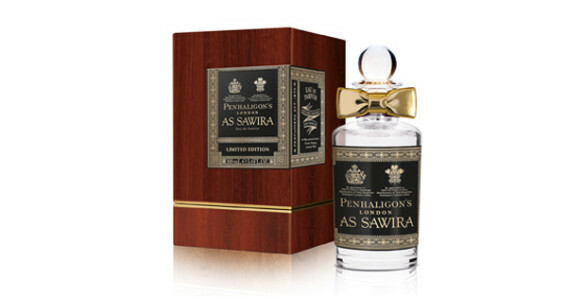 In New York, the Penhaligon line is available at Aedes, Saks, Chocheng, Eisler Chemist, and some other shops. I don’t believe they have Vaara yet. In Washington D.C or Baltimore, Penhaligon is sold at Sterling & Burke, and Loafers & Lace, respectively. Vaara is also already available in the large $160 size at ShopLondons. Outside the U.S.: In Canada, the Penhaligon line is carried at The Perfume Shoppe and Beauty Bar Cosmetics (which doesn’t have an online retail website), but the Perfume Shoppe has no listing Vaara yet. In Europe, Vaara is already available at London’s Harvey Nichols in the small 50 ml size, and from Ireland’s Brown Thomas in the large size for €140. In France, the Penhaligon line is sold at Paris’ niche boutique store, Nose, as well as at Les Galleries Lafayette, Le Bon Marché, Printemps, and other stores listed in Penhaligon’s vendor page. A number of those stores’ online page show no listings for Vaara yet, as it is too new. For all other locations throughout Europe and beyond, you can check Penhaligon’s Stockist listings for a location near you. Samples: You can obtain samples from a number of the links listed up above. I obtained my sample from Surrender to Chance which sells Vaara starting at $4.99 for a 1 ml vial.